Do you need an extra space to use as a study, office, bedroom or even playroom for your Brighton home? Rather than think about moving house, convert your loft. Converting your loft is the easiest and the least unsettling way to get more space and of course, it is cheaper and more stress-free than moving. However, before you can fully delve into the process of converting your loft into a livable or functional space, there are several factors that you should be considered and properly thought over before going forward. Though there are many upsides to loft conversions some of which include extra space, aesthetic appeal and an increase in the value of your property by as much as 25%, it is not for everyone. As loft conversion specialists with decades of experience, we have observed that clients who carefully take these factors into consideration before diving into the project come prepared and know all there is to know about loft conversion. This is why we recommend it for our clients. This way, you are ready and with our help at Milosh Loft Conversions, can make smart choices about how your dream loft would be. You have to know or at least have an idea of the type of loft you want to have installed in your home. Would you prefer Velux, Dormer, Hip to Gable or Mansard? Identifying your roof type will help you go a long way in choosing which type of loft conversion would be better suited for your home. In cases where the roof type does not go with the type of loft conversion you have in mind, you can start making preparations to have your roof replaced or to drop the floor level. When you have decided on which type of loft conversion you would rather have fitted into your home, this would influence other decisions involved in the project. The position of the loft staircase is very important. Some of the floor space will be taken up with the stairs leading into the loft, therefore, finding a suitable placement for the stairs in order to gain access to the loft is vital. It would be ideal to have access run on from the existing stairwell using dormers or any other extension. However, if this is not possible, you may have to think of repurposing another area of the floor below for the stairs or in rare cases, using a fixed ladder or alternating tread staircase. Another aspect of access to be considered is to decide what can fit in the loft after it is converted. The head height, floor space and vertical space should all be noted. A vertical space of at least 2.5m will allow for a comfortable headroom to enable you access the room without hindrance after its conversion. How much time can you spare for the project? Depending on the type of work required by your type of loft conversion, the project may take up to 5 weeks. As to be expected, the work will be noisy and messy especially if it involves ground-floor extensions. Scaffolding will be used to gain access until the staircase linking the loft to the rest of the house is installed. You have to know that these minor and major inconveniences will linger for a while to understand if you can manage extensive loft conversions, knowing that they would last longer. Your budget will greatly influence your type of loft conversion. You need+ to know how much you are willing to spend and the amount you cannot exceed when it comes to your conversion. You also need to budget for the unexpected. Permission is not normally required unless you are extending the roof space. If you are unsure whether you require permission, check the local planning department. Getting approval is different from getting planning permission. You need approval for conversions in your loft under building regulation. This will reduce the risk involved in your project and let you know if your house needs underpinning to support the added weight. You also need a party wall notice if any work to be done affects the wall, floor or ceiling of the adjoining property. It is crucial that you choose the right window for your conversion as one of the top benefits of having a livable loft is the availability of sunlight. The wrong windows will not only hinder the natural light but will prevent aeration as well. You have to provide windows fitted with trickle vents for background ventilation. You can choose between dormer windows and roof lights. Dormer windows offer extra headroom as well as light but they may need planning permission before they can be installed, as they change the exterior appearance of a house. Installing them at the back of the property, however, might not need planning permission since they could be classified as “permitted development”. Top-hung roof windows or skylight are perfect for lofts and easy to install flat into the roof. 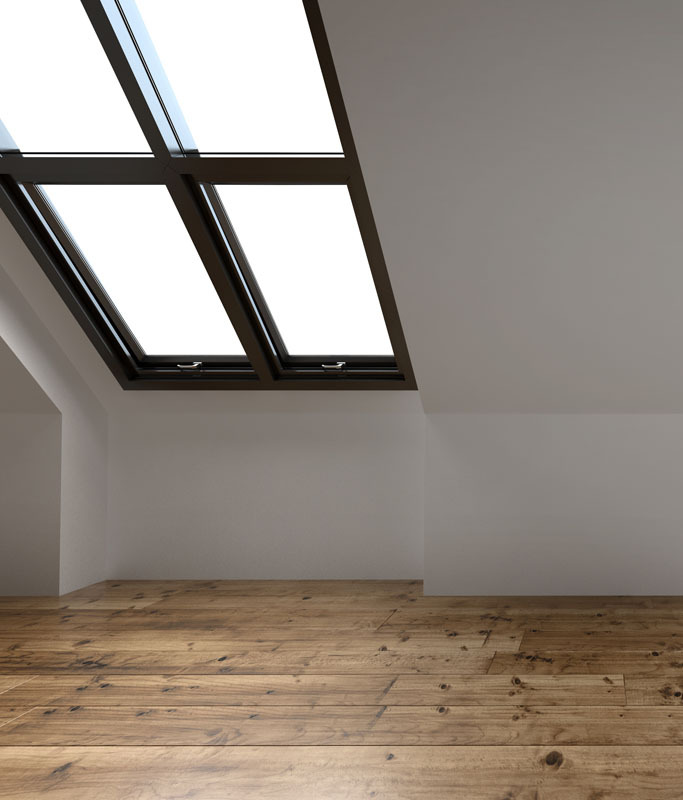 Installing roof windows can greatly improve the flow of light into the loft and brighten the room. In most Brighton homes, we install Velux top-hung roof windows on a roof pitch, allowing for maximum flow of air into the property. These windows open outwards, offering more room and uninterrupted views. Need expert loft conversion for your Brighton home? Get a free, no obligation quote today. Loft spaces can be subject to extreme temperature depending on the weather. They get very cold in the winter and extra hot in the summer. Because of this, building regulations require a good standard of insulation to prevent condensation. For walls and ceilings, a rigid insulation, such as Celotex insulation boards, are used while Gyprock Rockwool is used between floor joists. In order to satisfy building regulations for thermal, sound and fire insulation, it should be 150 to 250 mm thick. For improved performance, insulate above the rafters as long as you do not add more than 150mm to the roof height. Safety regulations should be incorporated into the project from the early stage. All the building materials used should be fire resistant, hallways and rooms should be fitted with a sprinkler system and a fire alarm. In two-storey homes, internal doors must be replaced with fire doors to create a protected path from the loft down to the ground floor. An emergency exit to the roof should also be provided if there is more than one room in the loft conversion. In most of the conversions for homes in Brighton, we fit a fire-escape window large enough to climb through in each space. In most cases, installing extra electrics and plumbing is the biggest area where extra expenses arise. Aim to site the bathroom close to existing drainage and soil vent pipes so that the bathroom plumbing can be rerouted from below and the soil pipe extended on the exterior. Check whether the existing central heating and electrical systems have the capacity to supply the new space and that their distribution networks are equal to the task. In the event that your old boiler is unable to handle the demands of the extra room, another system which is separate from the rest of the household plumbing should be considered. Which Loft Conversion Company should I choose? At the end of the day, the most important factor to be considered when it comes to your loft conversion project is the company you choose to work with. An inept team could bungle your loft installation or use substandard building materials, leading to frequent extensive maintenance and waste of resources. For the best results and your greatest satisfaction, you need to consider working with Milosh Loft Conversions. 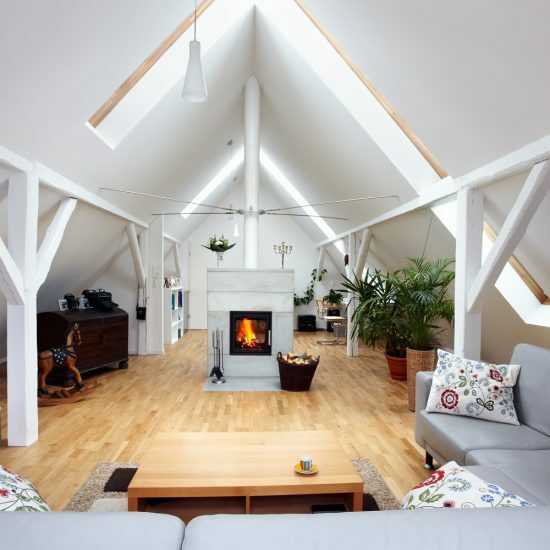 We are the leading firm for loft conversions for homes in Brighton, with over 20 years of experience and a team of hand-picked experts in our employ. We work with you to create a customised service perfectly suited to your needs and which continues even after the completion of the project. We make sure you are in the loop from start to finish and we support you throughout the project by helping you with the planning application and building regulation process. We offer integrated services that provide everything you need for your loft conversion project, including ensuring that our dormers are optimised for high insulation capacity with the best quality of thermal insulation. We also provide you with an expert team of architects, plumbers, engineers, electricians and experienced loft conversion contractors. We are aware that most of our clients are conscious of our environment and make use of eco-friendly materials in major aspects of their life. Because of this, we source for and use recyclable materials that reduce your carbon footprints. All of the products we use for hundreds of homeowners in Brighton and its surroundings during our dormer installation are vetted as high-quality products. We offer the highest quality of workmanship at a competitive price. If you chose us as your loft conversion specialists, the price you sign up to will remain fixed with a clear breakdown of costs associated with your loft conversion. In all honesty, you may have to deal with the noise of people above your house, the sound of tools and the dust from all that work going on. These are likely to inconvenience and disturb you. However, most of the work is done in the loft area so you should be able to go about your day without any fuss. After the work is done, it will all be worth it. We have overseen many loft conversions in Brighton. Most of the plans take roughly 6 to 8 weeks to be approved. Sometimes it could take longer if the approver wants something added. It might take 4 to 5 weeks for some clients to approve a plan. Milosh Loft Conversions will do everything possible to expedite the process whilst delivering the best service. 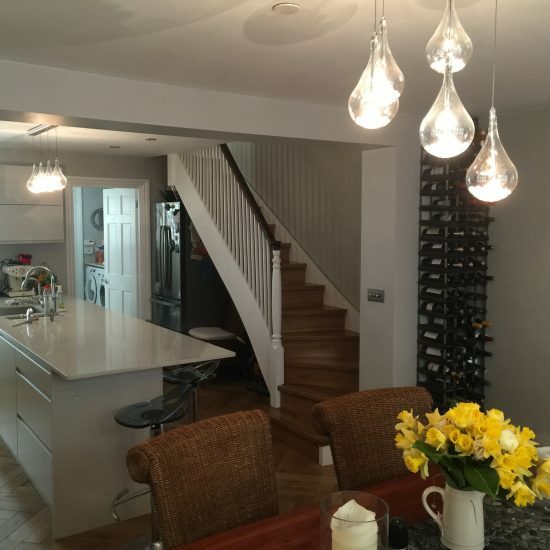 We will never rush or pressure you into accepting a design as we want you to be 100% satisfied with the planning and proposed changes to your Brighton home. Yes, it is. Localities and properties of conservation areas have special character histories and features. It adds to the charm of the area but makes it difficult to do things like a loft conversion. You have to get planning permission from the Brighton planning authority, and could be subject to specific planning conditions. All loft conversions require building regulations approval before they can be carried out. However, in the case of planned permission, it is only needed for conversions in a conservation area or listed building. You also need permission if you’re altering the roof shape or height. Additions of 40m³ for a terraced home and 50³ for other homes fall under permitted development. In a few cases, it might be impossible to move the boilers but in most situations, we will remove the heating system if it’s an old one. We always suggest that clients upgrade their heating system instead of spending money relocating the old tanks. Newer models offer a better warranty and efficiency. If you own a two-storey home, a loft conversion is considered a third storey for your Brighton home. Therefore, you have to install a wide fire-escape window and fire doors that can withstand heat for 30 minutes. One will be installed at the top of the new stairs and on the doors in all the rooms of the house. You will also need smoke alarms in your loft. These should be wired to the main control panel, and include a backup battery for power supply. Does loft conversion have any troubles? Also, there is the time and money spent on building regulations, planning permissions and potential surveys required for your loft conversion. Another issue is the lack of headspace and the landing below the loft. Most Brighton homes don’t have enough space for a staircase. You have to think about where the entrance will be depending on the layout of your home. Where is the ideal position for my staircase in the loft conversion? When considering a loft conversion design, the position of the staircase is one of the most significant decisions. However, our architects are at your disposal to give you several options that could improve your existing upper floor layout and also improve your new loft floor. The first option is to install the staircase over the existing stairs. It saves space for your loft conversion and creates a symmetrical design which complements your existing home layout. It also minimises floor space taken up by the stairs without affecting headroom. A second option is to position the stairs behind the chimney. This allows headroom for the staircase to come up off to the left, and means you have an extra space to convert your loft into an en-suite bedroom with a bathroom. It is an adjoining wall between properties. You need a party wall notice if any work to be done affects the wall, floor or ceiling of the adjoining property. This agreement has to be signed by the owners of the properties on either side of the walls. It is required for terraced or semi-detached properties in Brighton that share a wall with another property. When you book an appointment for a free site survey to determine the suitability of your loft for a conversion, we come over and assess your home. Working with the details you have given us and in line with your loft conversion needs, we send you a quote. If you’re happy with it, we draw up a contract with a fixed price and timeline for the loft conversion. As a leading loft conversion company in Brighton, we have diverse collections of loft conversions that we have done for different homes and we are more than happy to show you our portfolio of completed work in any style of loft conversion that you are interested in. There is a good possibility that we have designed and built some of the lofts you have seen around Brighton. Contact us and we will give you our case studies containing descriptions and images of previous work we have done, in order to understand what your completed work will look like. Unless you plan to alter or extend the roof space, or exceed specified conditions and limits, you do not require planning permission. As long as your loft conversion conforms to government standards, it is considered a permitted development. If your loft experiences extreme temperatures, it is mostly because it was not properly insulated. This may be the result of using cheap or substandard materials. A new loft conversion which is built correctly ought to be thermally efficient. Milosh Loft Conversions ensures that the external roofing is insulated with loft wool and covered with thermawrap. This keeps your loft cool in the summer and warm in winter. Illegal loft conversion refers to a property where a loft conversion was built without planning permission or building control. To avoid this situation and the complications that come with it, it is important that you work with a licensed loft conversion company in Brighton. If you are found guilty of illegal loft conversion, you could be fined a hefty sum or made to spend thousands of pounds on renovations for an illegal loft conversion. Do you provide support after the loft conversion is complete? At Milosh Loft Conversions, we pride ourselves as a full customer orientated service. It is very rare that customers have issues with their loft conversion but in the rare case that you do, our team of friendly contractors will come over and fix the problem. The average loft conversion in Brighton usually takes 4 to 10 weeks to complete, but this could reach 12 weeks if you have a more complex project or custom specifications. 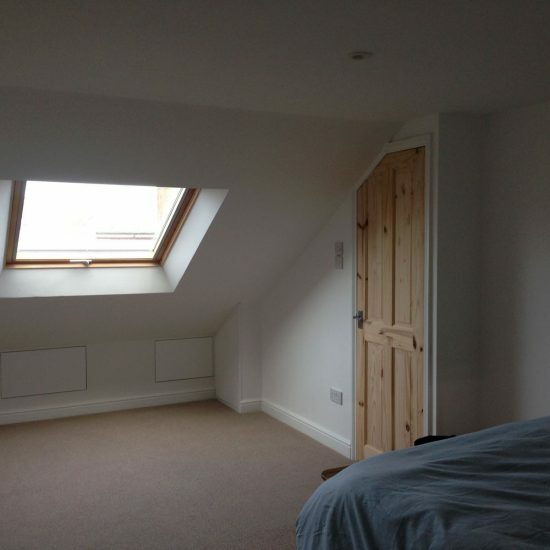 How do I select the right firm for my loft conversion project? Finally, before you commit to them, ask to see other loft conversions they have done. A good conversion specialist will be happy to put you in touch with a client they’ve worked with in the past. Milosh Loft Conversions is an NIC EIC approved contractor. We are also members of the Federation of Master Builders and we have worked with number of homes in Brighton and nearby cities with more than satisfactory results. Is it necessary that I work with a loft conversion specialist? Yes, it is. Using a loft conversion specialist is better than working with a general builder. Working with a professional loft conversion firm such as Milosh Loft Conversions Brighton eliminates the risks and mistakes associated with conversions and ensures you get your money’s worth. It is not advisable that you undertake the project by yourself. The installation is a complicated process that sometimes involves building regulation sign-off and the local planning department. Apart from the amount of work, there is the inherent danger of injuring yourself or even extensively damaging your home. This is the reason why most Brighton residents contract their loft conversion to a specialist company like Milosh Loft Conversions. Can any loft for converted? If your loft is not in violation of the planning and conservation guidelines, yes, it can be converted. The crucial element is the roof ridge which has to be a minimum of 2.2 metres. However, not all lofts can be converted. When you call us for a consultation, we will find out if yours can be converted and if so, offer more information on the loft conversion options available to you. A loft extension is a substantial investment in your Brighton home. If it comprises of a master bedroom and suite, it increases the value of your home by up to 20 to 25%. The price of a loft conversion is determined by several factors such as the type of loft conversion, the installation of a new staircase, inclusion of framing carpentry, the existing quality of your loft and the level of finish you will require. The average cost of loft conversion varies from £11,000 to £40,000 depending on your conversion needs. To be certain of how much this will cost, request a quotation. A loft conversion involves adapting the space under the roof of a house otherwise known as a loft or an attic, into a living area such as bedroom, home office, play area or other use the client has in mind.